Home BOLLYWOOD Abhay Deol Gets An Award For Fighting Racism! 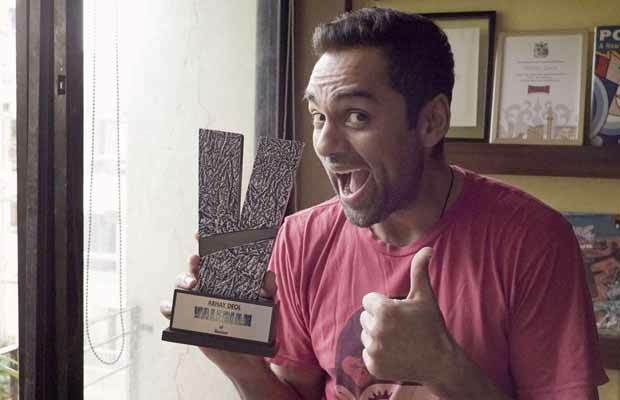 Abhay Deol Gets An Award For Fighting Racism! Abhay Deol spoke about racism and the whole country stood up and took notice! The actor now gets recognition for his fight against racism all the way from Hollywood! Awarded ‘Valerian of Racism’ by the makers of ‘Valerian and The City of a Thousand Planets’, Abhay has openly expressed his views on gender-based stereotypes in Hindi movies, about how some Bollywood films end up glorifying stalking as a legitimate means to ‘win over’ the girl, the most recent being against fairness creams. Valerian being synonymous with Saviour, which is the chief motto of upcoming movie, ‘Valerian and the City of a Thousand Planets’, the team has handpicked Indian celebrities who are fighting for / saving the country against a social menace. Abhay Deol receives this recognition for his undeterred fight against Racism. Next articleDouble Treat For Salman Khan Fans!